Rodolfo Gonzalez Munguia, He began his career at Velas Vallarta in Puerto Vallarta, Velas Resorts’ launching pad. 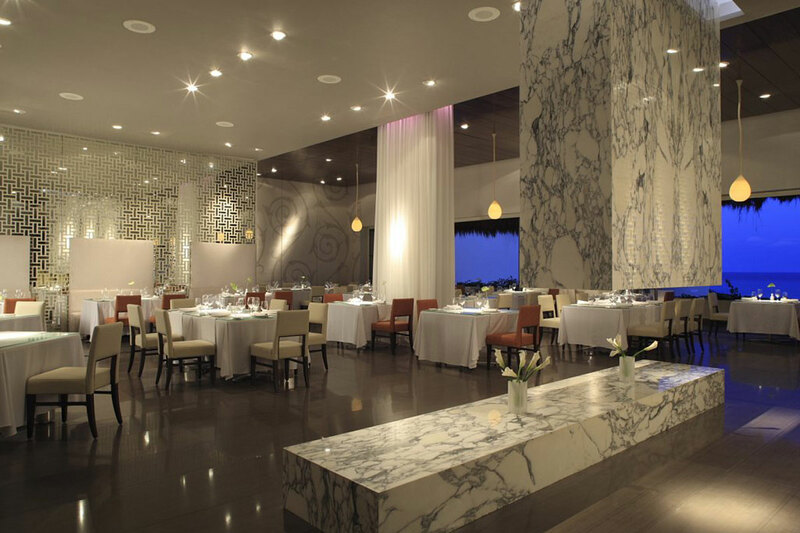 From there he quickly rose through the ranks, moving on to Director of Food and Beverage at Grand Velas Riviera Nayarit and then General Manager of Casa Velas boutique hotel. In 2007, he worked for Las Palomas Beach and Golf Resort in Puerto Penasco, Sonora as Resident Manager. He returned to Velas Resorts as General Manager of the Ambassador Wing at Grand Velas Riviera Maya before taking the position of Managing Director of Grand Velas Riviera Nayarit in 2011. Gonzalez is a graduate in Tourism Business Administration and Marketing from the Universidad Autonoma of Guadalajara. Committed to developing unique resorts in premier destinations, exceptional design, award-winning amenities and the finest service throughout Mexico, Velas Resorts opened its first hotel, Velas Vallarta in 1989. 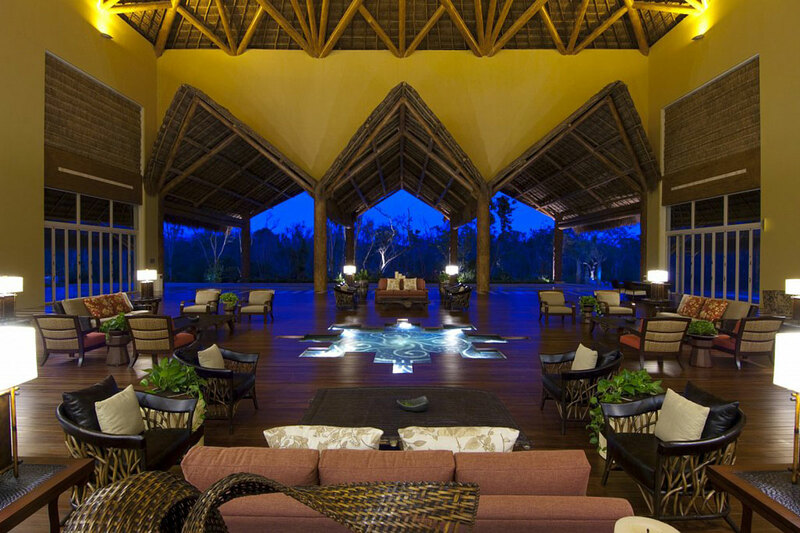 Fourteen years later, Grand Velas Riviera Nayarit opened its doors. This exquisite resort on Mexico’s Riviera Nayarit is the new definition of luxury. In 2005, Casa Velas was added to the collection to provide an intimate adults-only resort in Marina Vallarta. Our most ambitious resort, Grand Velas Riviera Maya opened its paradise in November of 2008 in the tropical oasis of Riviera Maya, 5 minutes away from Playa del Carmen and 40 minutes from Cancun International Airport. 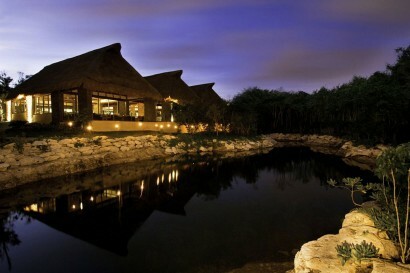 Velas Resorts continues to grow its unique brand of hospitality in Mexico. The Velas Brothers, Juan Vela and Eduardo Vela Ruiz understand that having a vision means being a visionary. 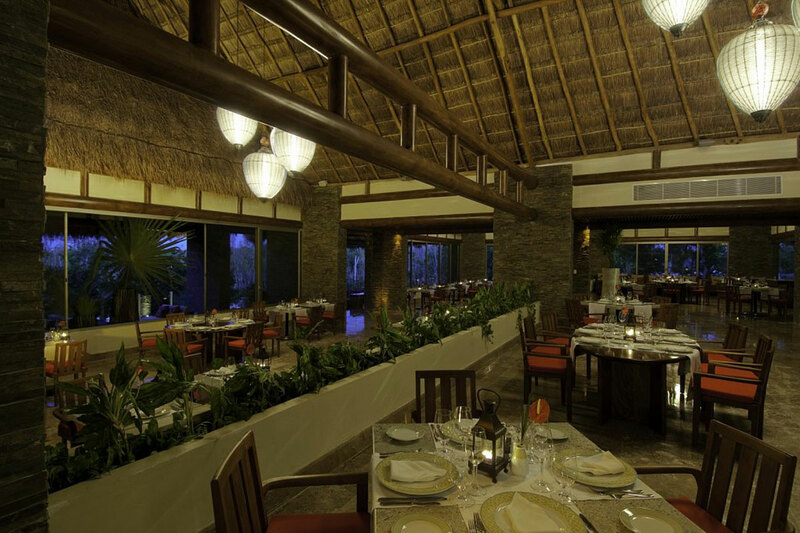 Never complacent, Velas Resorts is passionate about improving and staying on top of trends. Whether it’s being an eco-friendly hotel, offering holistic wellness spas or utilizing state-of-the-art technology, Velas Resorts strive to give guests everything they desire. SPA. The Hydrothermal Journey has been renovated with many new features for guests. A veil of steam with eucalyptus oil will embrace them and a new ceiling of stars will provide them with the benefits of color therapy. Guests can also look forward to a refreshing bi-thermal shower along with an ice fountain with mint essence to balance the body’s temperature as a traditional detoxifying contrast after the dry heat of the sauna. The design’s details seek to create a more organic setting with wood, bamboo walls and glass elements made by mexican artisans. All of these aspects further elevate the experience of relaxation and wellbeing. This renovations are available for guests since 2014. Suites. In order to maximize the experience of luxury and comfort for all guests a total of 131 Zen Grand Suites Nature View and two addional suites fo the disable were modernized in terms of amenities, furnishing and decor. They have been available since December 2014. Offering unparalleled all-inclusive experiences, Velas Resorts in Riviera Maya, has earned the prestigious Five Diamond Award. Expedia named Grand Velas Riviera among the top ranked hotels on this year’s Expedia Insiders’ Select list which recognizes the best hotels worldwide that consistently deliver excellent service, a great overall experience and value. 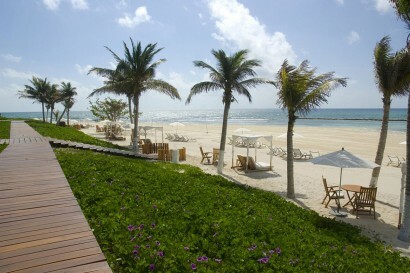 • Playa del Carmen – 4 miles (10 minutes). The Riviera Maya is a paradise for water sports and at Grand Velas Riviera Maya guests of all ages can delight in the wonders of the crystalline Caribbean waters. Enjoy snorkeling tours of pristine coral reefs in Riviera Maya, Mexico, teeming with tropical fish; scuba dive in some of the world’s best dive spots near the Riviera Maya and Playa del Carmen; swim in the ocean alongside massive, gentle whale sharks or swim with dolphins in one of many Riviera Maya Mexico all inclusive water parks created especially for you to connect with the area’s marine life. The program provides fun activities, such as movies, storytelling, drawing and painting, origami, and board games for young children from 5 to 12 years old. Kids enjoy activities and amusement in the video area where they will enjoy a Home Theater, X-Box and Wii. At our Kids’ Club, your children play, make friends and create childhood memories. Check our daily activities program, so that you can bask in the sun while your children enjoy the vacation experience of a lifetime! Our goal is for every child to have a memorable experience. Therefore, our program is flexible and adaptable to your children’s age and desires. The Kid´s Club operates 7 days a week from 9:00 am to 10:45 pm, as part of your all-inclusive Riviera Maya resort vacation package. This area is specially designed with everything a teen could want. Features range from billiard and arcade games, to video game systems Xbox, Kinect and PS3, special seats with built in speakers for enhanced game play, and individual cubicles with a 40″ LED TV. When evening sets in, the fun continues with a disco dance floor with surround sound and special lighting, and karaoke complete with 45,000 songs in multiple languages. 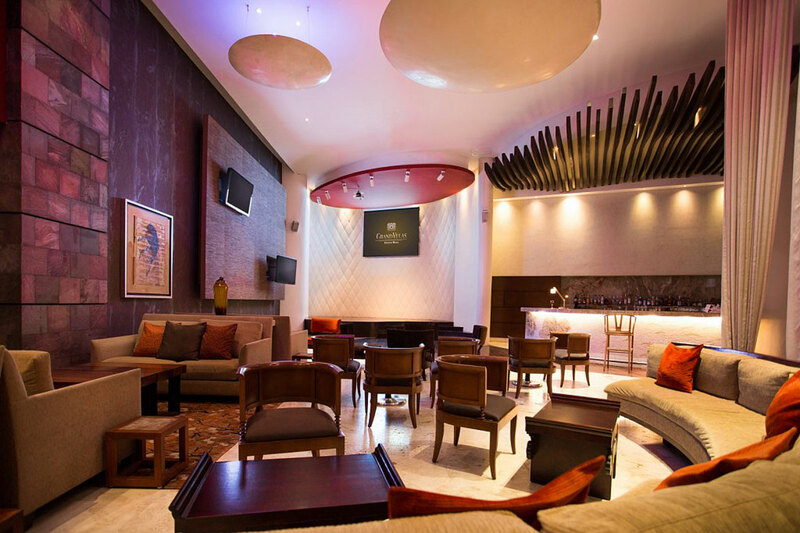 A separate bar area serves a wide selection of teen friendly soft drinks and concoctions and favorite snacks, or teens can order room service with all food and beverage included in the daily room rate. Immersed in the natural beauty of the Mayan Jungle, the family friendly Zen Grand Section features 254 elegantly exotic suites with over 1,100 square feet of living space, hot tubs and private terraces with jungle and koi fish pond views. Families can enjoy the sparkling pool surrounded by lush trees and landscapes while business travelers enjoy close proximity to the convention center. The family-friendly Ambassador Section offers 195 spacious 1,200+ square foot suites with luxurious amenities, including sitting areas, bathrooms with Jacuzzi, and the option of a plunge pool. Relax on the private terrace with spectacular sea views. These beautiful suites surround the main infinity pool, near the fitness center Kid’s Club and Teen’s Club. With three magnificent ambiances, Grand Velas Riviera Maya features 539 luxury suites designed in harmony with the natural landscape. Indulge your senses in spectacular Riviera Maya suites that embody lavish living with contemporary Mexican décor and over 1,100 square feet of space for relaxing in the Caribbean. All of our suites feature private terraces with views of the ocean or lush jungle, plunge pools, whirlpool tubs, 42″ plasma TVs, wireless Internet, and 24-hour room service. Whether you desire a tranquil vacation with adults or a fun family getaway, our exclusive Riviera Maya suites surround you in luxury, style and the modern conveniences of home. Combining business with pleasure is a natural fit at Grand Velas Riviera Maya. Our resort features 91,547 square feet of indoor and outdoor meeting and event space, including a state of the art Convention Center with 32 meeting rooms and two ballrooms for conferences and celebrations for up to 3,000 people. All of our dynamic spaces feature cutting edge technology and Wi-Fi, and executive guests stay productive in private offices in our professional business center. A member of The Leading Hotels of the World, Grand Velas Riviera Maya is a luxury all-Inclusive resort and a meeting planner’s dream. Innovative in design and surrounded by the breathtaking Mayan Jungle, the Convention Center has all the services you need to bring people together in unique ways. All the elements of the resort are carefully designed to provide you with the ultimate vacation experience; energize your vacation with our yoga classes that will complement your wellbeing. The Yoga classes will nurture your spirit offering a new relief to your soul. We want your vacations to be in harmony with your whole. We offer Hatha yoga classes and private instruction is also available by appointment. Why not enjoy an exciting day under the sun as you paddle the pristine waters of the Mexican Caribbean in Riviera Maya? With miles of coastline and white sand beaches, Riviera Maya presents limitless activities.Our tours are guided by instructors who provide an introduction before launching onto the sea. Prepare to be amazed by an unparalleled Spa that is breathtaking. By bringing the concept of pleasure and wellness to a luxurious new level and constructing gorgeous facilities in the midst of the vibrant jungle, the Grand Velas Riviera Maya Spa was named “Best Spa in the World” by Virtuoso in 2010. Our extensive Riviera Maya spa menu includes massage therapies for men, women and couples, body treatments and wraps, facials, and our incredible Riviera Maya Water Journey – a true escape to total bliss! To extend the benefit of your beauty treatments, visit our Spa Boutique in Riviera Maya where you can purchase exclusive, top-of the-line spa products. •Travelers’ Choice Awards 2016. Based on the opinion of thousands of travellers, Grand Velas was included in the 25 most popular hotels list of the Travellers’ Choice Awards 2016 by TripAdvisor, in the “All-Inclusive-Mexico” category, placing it in the 14th position. •EarthCheck Gold. A leader organization that provides certifications related to green tourism. It validates the correct implementation of procedures that ensure the environment protection. 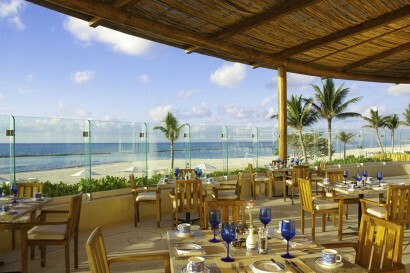 The Gold Level was granted to Grand Velas Riviera Maya. •Best All-Inclusive Resorts 2016. Grand Velas Riviera Maya was included in the list of the Best All-Inclusive Resorts 2016 in the World’s Best Awards by Five Star Alliance, one of the most important sites for luxury hotel reservations worldwide. •Noble Beach Prize 2015-2016. Cheap Caribbean is one of most popular online travel agencies in the United States. This year has chosen Grand Velas as the winner of the “Best Massage Nirvana” and “Most SPAwesome Experience” categories in the Noble Beach Prizes 2015-2016. 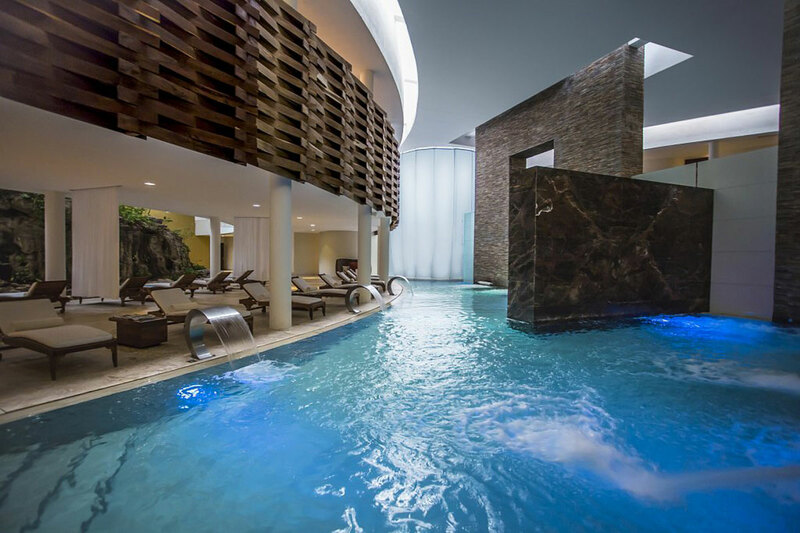 •Best Spas of Mexico.Spa & Wellness Mexico, the publication specializing in spa and wellness, announced the results of its survey of the Best Spas of Mexico 2016. 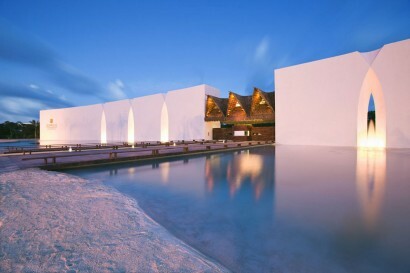 Spa de Autor of Grand Velas Riviera Maya is one of the best Spas of Mexico. 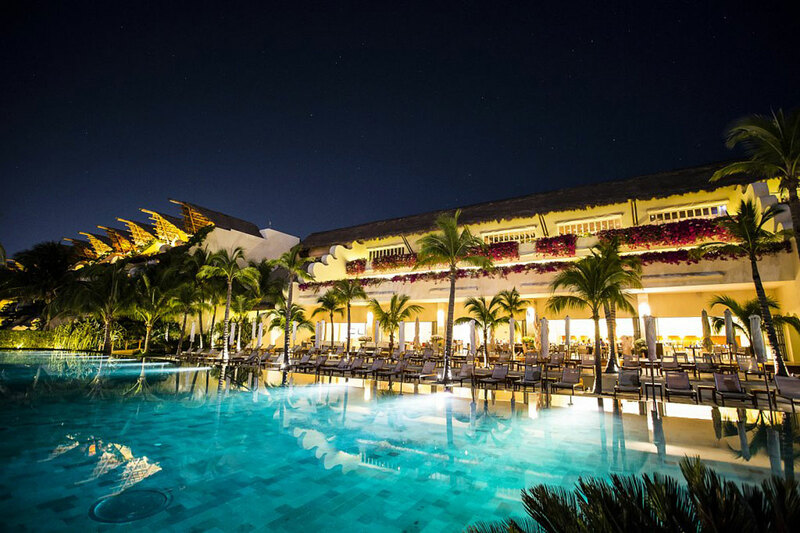 • VIP Access Best of 2015.Grand Velas Riviera Maya was included in the Expedia list “+ VIP Access Best of 2014”, a compendium of the Top 300 Hotels in the world according to the satisfaction of Elite customers that are part of this program. • Travelers’ Choice 2015 Winner.Based on the opinion of thousands of travelers, Grand Velas was included in the 25 most popular hotels lists of the Travelers’ Choice Awards 2015 in the categories of: Family, Top Hotels and Luxury. • Best Luxury Hotel in Mexico. 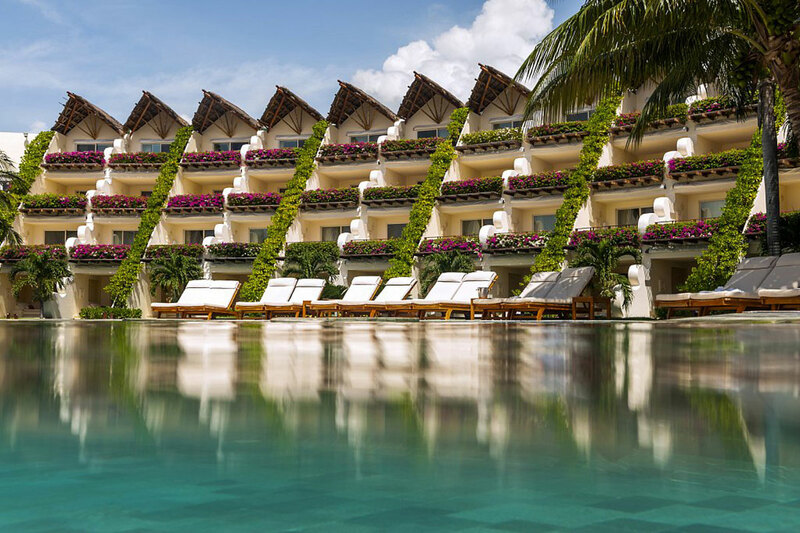 Price Travel, one of Mexico’s major on-line travel agencies, has awarded Grand Velas Riviera Maya with the recognition of Price Travel Trophy, within the category of Best Luxury Hotel due to its high quality standards, service, and sales. • Family Vacation Critic Favorite 2015. 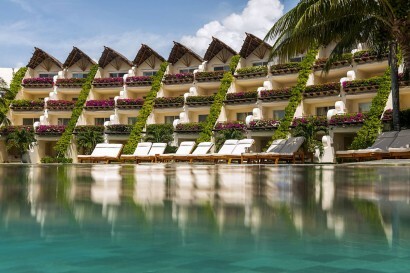 Grand Velas Riviera Maya was awarded as one of the favorite hotels in the Family Vacation Critic 2015 awards! This important vacation travel community site has valuable feedback and advice on hotels, destinations, and attractions. • Hall of Fame 2015. Grand Velas Riviera Maya is recipient of the award Hall of Fame by TripAdvisor, exclusively given to the properties that have received the Certificate of Excellence for 5 consecutive years. • Ultimate All-Inclusive Resorts. Grand Velas Riviera Maya has been awarded the first place in the compendium “Ultimate All-Inclusive Resorts” from the Yahoo! Travel site due to the wide variety of luxury amenities, services and activities offered. • GreenLeaders. Grand Velas Riviera Maya was named GreenLeader in the Platinum level; this is a TripAdvisor program that rewards the hotels with eco-practices and that are highly committed with the environment. • World’s Best Awards 2015. 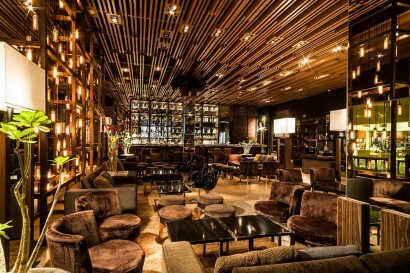 This travel magazine compiles the World’s Best Awards, a list of the best hotels including Grand Velas in the “World’s Best: Family Travel” and” World’s Best Hotels” categories of all Mexico. • Spa Awards Grand Velas Riviera Maya was named one of the Best Spas in Mexico. This compendium was published in the Spa Professional Mexico magazine, one of the most important in the country dedicated to the tourism, health and fitness industries. • Shape Magazine’s Healthy Choice AwardsGrand Velas Riviera Maya has won the Coolest Bonus category of the Shape Magazine’s Healthy Choice Awards for the Hydrothermal Journey of its Signature Spa. These accolades were given by Shape, the 2nd largest young women’s magazine in the United States. • Best Beach Hotel in MexicOver 15,000 readers of this tourism and cuisine magazine selected Grand Velas Riviera Maya for second consecutive year, as the Best Beach Hotel in Mexico during the 2015 Food & Travel Reader Awards.